The Up on the Downs team hope you enjoy a sunshine filled summer and get out and up on those downs. The Up on the Downs Landscape Partnership Scheme is a five year Heritage Lottery Funded project involving a wide range of partners. 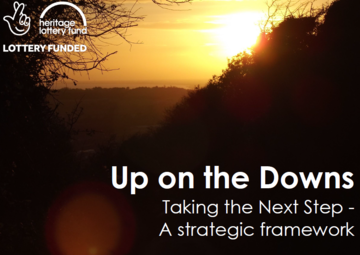 Up on the Downs aims to work with local communities to conserve and celebrate the landscape and heritage of the Dover and Folkestone area. The Big Summer Festival is back by popular demand and well under way. This year we have more of a river and water focus than previous years to raise the profile of this resource and just how precious water is to this chalky environment. Of course if you don't fancy dipping into that then there are 23 other events to take the family along to in the Dover and Folkestone area. Download a copy here. What has Up on the Downs been up to? 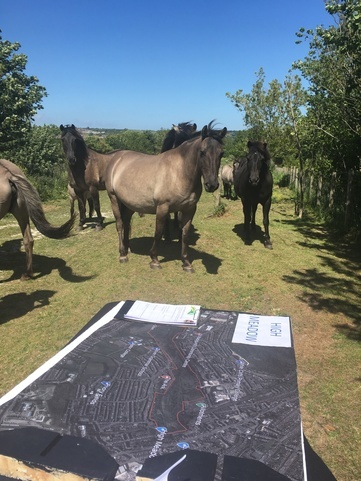 Up on the Downs has been working out how to carry on the partnership and continue good landscape work in the area after funding ends. Together with key partners and including several wider consultation events we created a plan for developing further landscape focused projects which can be found here. Our legacy will be a series well planned projects where much of the ground work to support development has already been established. Look out for new projects in your area in the next few months. These projects all added value to original projects and fitted with Up on the Downs values around conserving and celebrating the landscape. 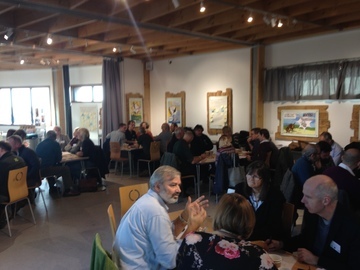 Two cross channel intereg bids to help develop the green and heritage tourism potential of Up on the Downs and to work on some exciting training for local people. A capacity building project to help WCCP become an even stronger, more successful organisation. A project at High Meadow in Dover to make the site better for local people. 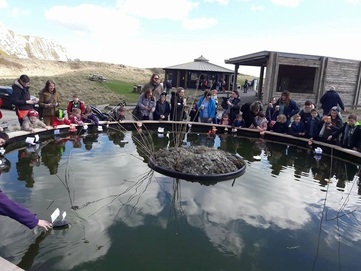 All these things will aim to continue our work to engage and celebrate local people in their landscape in a time of climate change, species loss and loss of connection with the natural world. One of the applications we are working on is a project at High Meadow that will enable better access for all users. Up on the Downs and Dover Town Council put lots of work into bringing back chalk grassland and grazing on this site. It is hoped that a community project up there will enable more enjoyment of the area. For this we have been asking a number of community groups and organisations about what they would like to see on site. If you live, visit or value the green spaces of Dover.You can also help by filling in this survey Thank you!